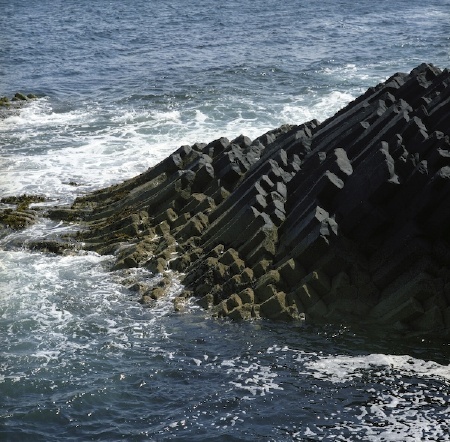 August 2006: Staffa. Hexagonal basalt columns and one of the more uniquer unique things to be found in the Inner Hebrides. Puke count on the steamer: 8.